Overview: Got football fever? 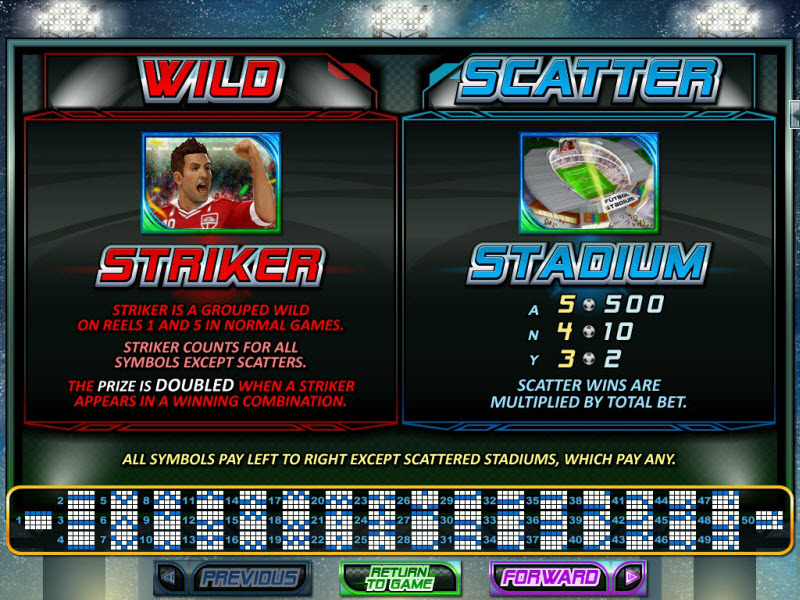 Then grab your soccer ball and take the field in Football Frenzy, an online slots game that captures World Cup madness, all year long. Now, there's no waiting every four years to see if your team reigns supreme. Just fire up the Slots of Vegas software, don your jerseys, and take the field. You'll get an absolute kick out of all the rewards coming your way - and they're way bigger than any trophy. 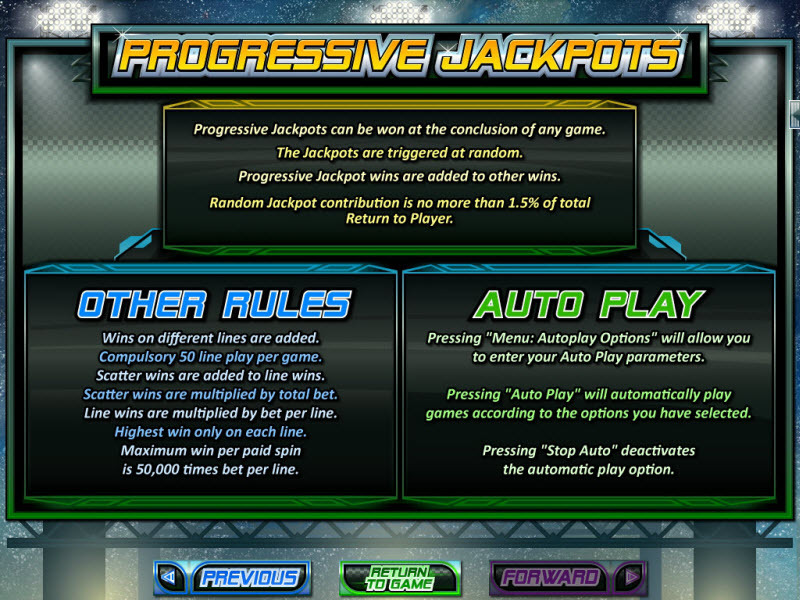 This 50-payline slots game comes with two jackpots, a top award of 3,000x your bet per line with a substitute symbol, two game play modes that lead to different bonus opportunities, and more. So get your game face on and hit the slots in the ultimate quest for victory. Don't know your yellow card from your red ones? Don't worry. Playing Football Frenzy is easy. Start by choosing your gameplay mode. 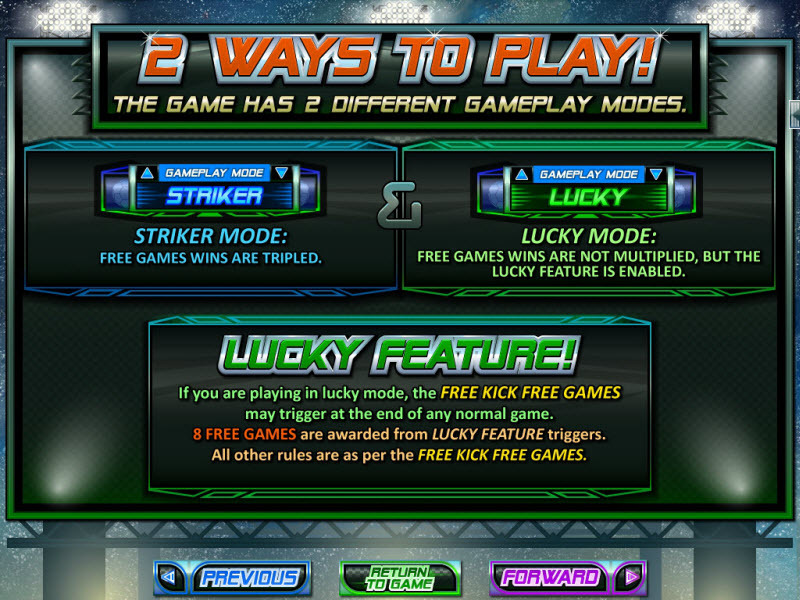 You can choose between Striker Mode or Lucky Mode. 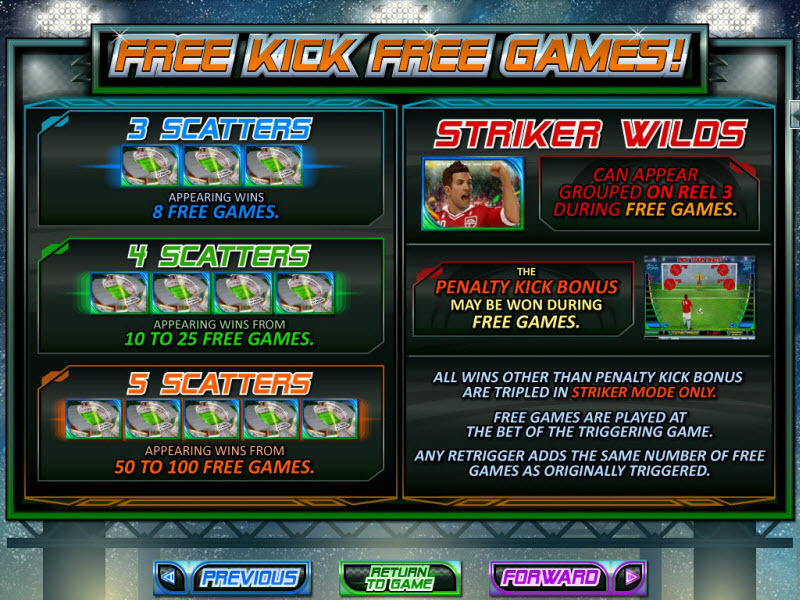 In Striker Mode, you can win up to 100 free games with 3x prizes. Or choose Lucky Mode and forfeit the 3x prizes but score the chance to play an instant feature at the end of a regular spin. 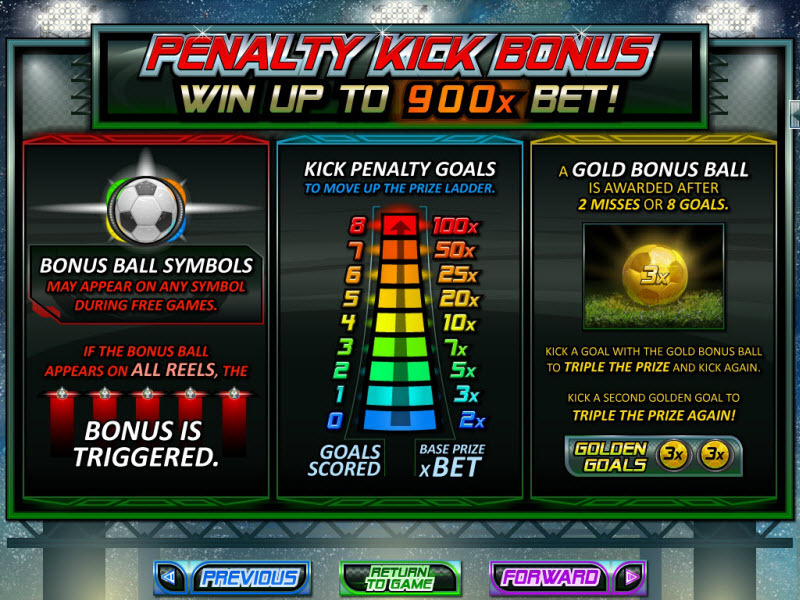 After you've chosen your game mode, choose your bet and line amounts by using the up and down arrows next to the Bet and Lines buttons. You can play between one line and all 50, and you can bet between $0.01 and $5 per line, for a maximum bet amount of $250 per spin. 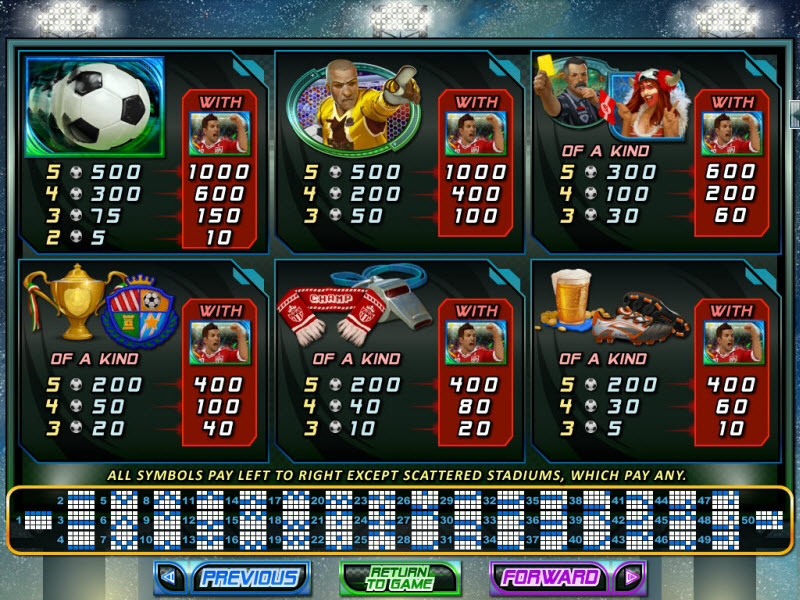 When the reels come to a stop, you'll get paid out based on which symbols you've lined up on a payline. 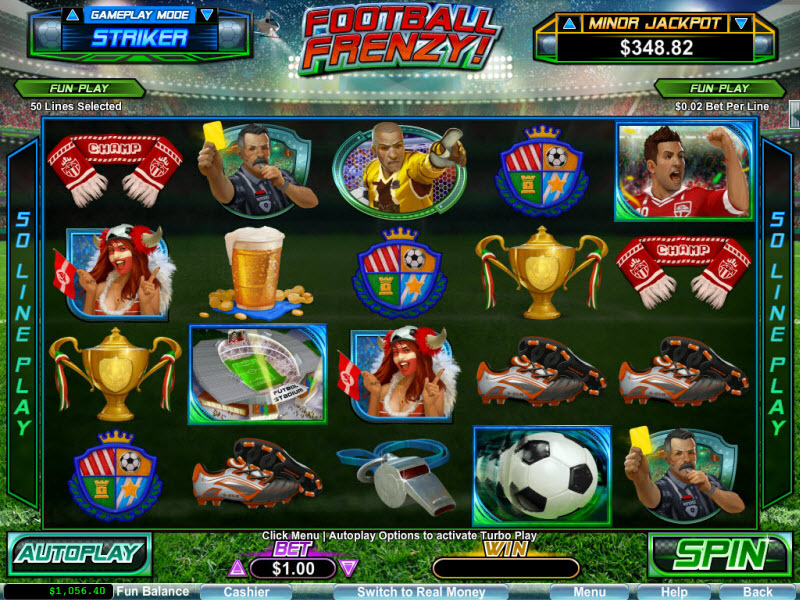 Similar Slots: If you like Football Frenzy, you might like these other slot machines from RTG: Achilles, Diamond Dozen, Funky Monkey, Green Light, Mister Money, Roberta's Castle.